I like big words. Which is kind of like saying, “I like to eat jellyfish tentacles.” You get weird looks, some rolled eyes, and a sort of “prove it” attitude from most. One of the big words I rike isth a oord room — oh, excuse me, I had to slurp up my jellyfish tentacle there and it was impeding my ability to type in a way so that it sounded like I had something in my mouth. Excuse me. A Russian literary critic named Mikhail Bakhtin wrote an extensive (and rather exhaustive, in my humble opinion) series of articles on Dostoevsky’s work entitled “Problems of Dostoevsky’s Poetics,” in which he talked about a big-word-favorite of mine: polyphony, or having many voices in a one-narrator novel. Basically, each character within a Dostoevskian novel has their own psychological platfrom from which they think, act, and speak. Or, to quote my favorite website for literary techniques, wikipedia: “each individual character is strongly defined, and at the same time the reader witnesses the critical influence of each character upon the other.” Wow. Usually I’m rather sarcastic about wikipedia, but that’s actually a rather succinct definition. Good job. Now go clean up your article about adverbs and then we’ll go for coffee or something. Uh-uh, second date, no tongue! Now, being a humble narrator, though not completely immune to the effects of sleep-deprivation and inspiration as of right now — something I refer to as the orange juice and toothpaste combo of the writing world — I find it hard to reconcile the two very distinct voices I have in my head. (Leave the schizophrenia jokes to me, kids. I’m a professional. Well, not really, but I am a Notary Public. WITNESS MY HAND AND SEAL. 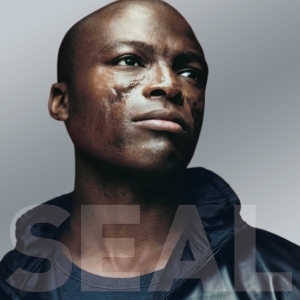 Uh, I mean, SEAL! Whatever. 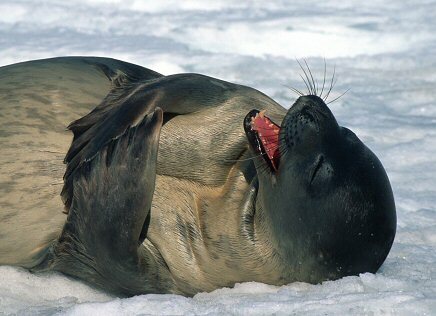 Club sandwiches, not seals.) The first is the rather irreverent, sarcastic, and Joss Whedonified. Basically what you read here. The other, however, is what I call the Emo Nathaniel Hawthorne. Now, those three words — harmless by themselves — together can be somewhat misleading. You haven’t had an example of this yet, though when I tend to get all literary on you, it gets closer to my main voice. I go for the psychological heartstrings — hence the emotional bit — and I’m rather descriptive — hence the Hawthorne bit. Where the Nathaniel comes into play, I have no clue. I don’t even know how this dude got here. Can't you just see some manliner on those baby blues?